Hate On Bey: Beyonce with SMEARED LIPSTICK!!! GROSS!!! 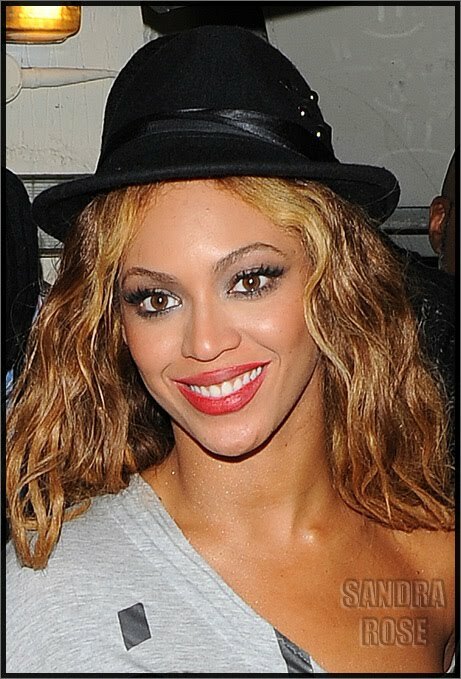 Beyonce with SMEARED LIPSTICK!!! GROSS!!! So I love the blog by Sandra Rose, shes so fair and balanced when it comes to these celebrities. I got these pics from her blog of Beyonces smeared lipstick. Doesn't it look a hot mess. What was she doing...eating, drinking, slobbing knobs? Who knows?